Q1 2017 Sales Summary Report! Insider knowledge at your fingertips! 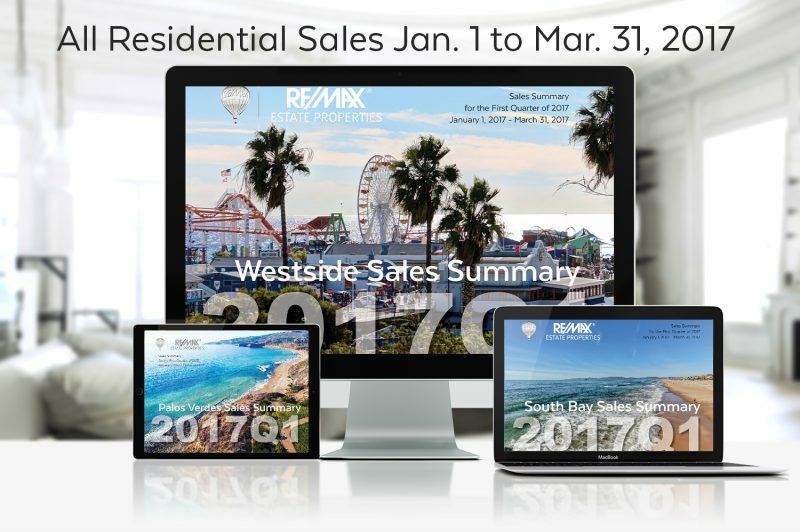 Fresh off the press, our favorite Sales Summary Quarterly Report is available for your sharing and downloading needs! The report covers Q1 of 2017 and includes all residential closed transactions and closed Sales Prices organized by city. With that also comes insightful information such as Total Sales and Average Sales Price (again, specified by city) compared to Q1 of 2016. With such powerful information this report not only gives you insider knowledge about the home that sold down the street, but it also help you understand the current market relative to the past. An educational piece with actual exciting information in an easy to read layout, just for you. There are three Reports: one for Palos Verdes & Harbor Cities, the South Bay & Westside. Take your pick! Peek through this for 5 minutes and come back for more at the end of Q2 !